Western-style fonts are typically slab serif fonts—some plain, some fancy. Square serif fonts are squarer, larger and bolder than most other serif fonts. The Western fonts in this list were selected specifically for their suitability for making your own customized WANTED posters. All of these fonts are available individually online. Many of the font houses offer collections of Western fonts that include these and others like them. Some of the Western-style fonts have only uppercase letters with no punctuation. If you need both uppercase and lowercase letters and punctuation, check out the complete font set to confirm the typeface you prefer comes with them. Nashville is the quintessential Wanted Poster font. It is a distressed slab serif. One caveat—there are no numbers. 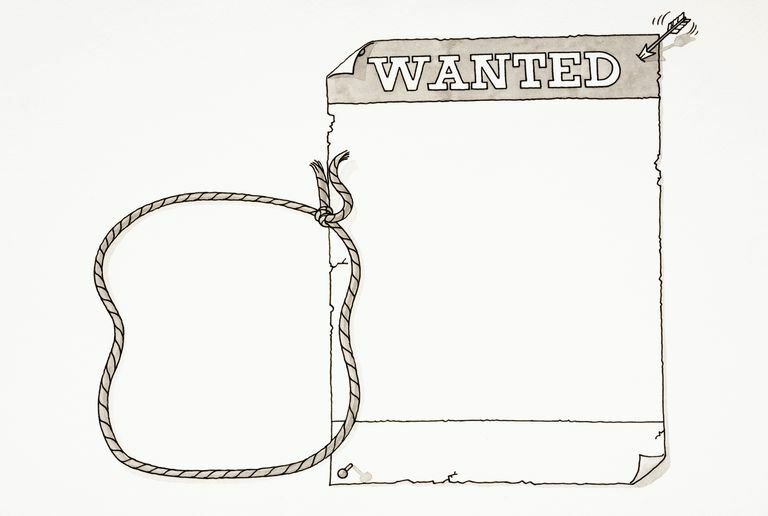 If you want to include a reward amount in your wanted poster, you'll need to get the numbers from a different font. But for the big WANTED at the top of the poster and other text, it works great. Perdido is another font that screams Western Wanted poster. Perdido is a demo font with capital letters only—no numbers or punctuation. It is similar in style to Nashville and Saddlebag but with a distressed appearance. Cowboys is a plain, fat slab serif. Heavier than the other fonts shown here, it has numbers and punctuation. It includes a Texas-sized star but no lower case letters. A condensed slab serif typeface similar to Cowboys, Showguide has upper and lowercase letters, numbers and a few punctuation marks. A wide, slightly decorative slab serif, Saddlebag has upper and lowercase letters, numbers, punctuation and accented characters. A little fancier than Saddlebag, Western is similar to Perdido but without the distressed appearance. The font includes upper and lower case letters, numerals and basic punctuation. Edmunds Distressed is a little friendlier than other slab serif fonts, Edmunds comes in regular and a distressed version with rough edges. The original Typodermic font, this nice, neat slab serif, contains upper and lowercase letters, numbers and punctuation. It was recently expanded to include math symbols, fractions and f-ligatures and more punctuation.